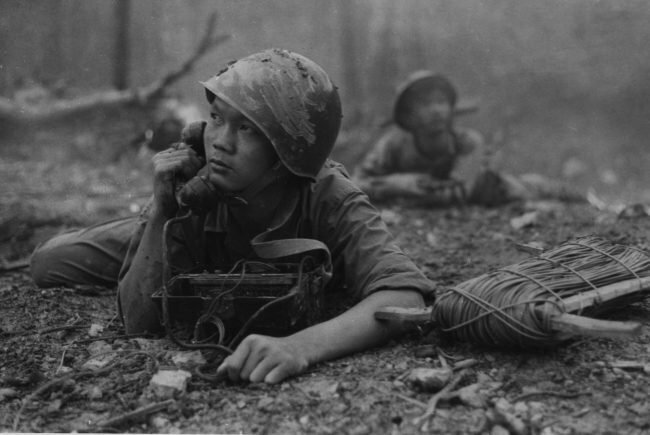 Battlefield Lens Photographers of Indochina Wars 1950 – 1975 presents 80 photographs of the Indochina Wars that spanned close to three decades in Vietnam, Cambodia and Laos. The exhibition opens with the First Indochina War also known as ‘the French War’, a colonial war between the French and the Vietnamese fighting for independence. 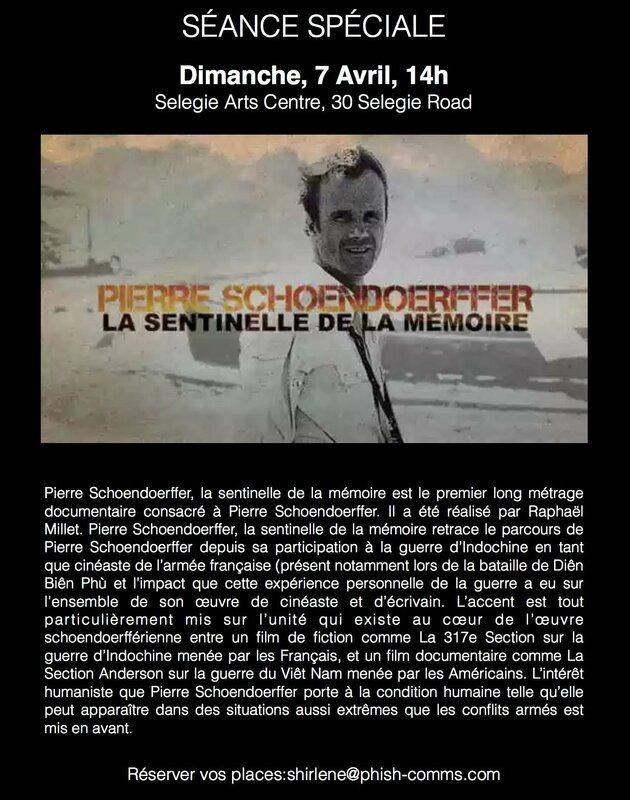 The French War in Indochina was documented by photographers and cinematographers who were soldiers themselves. The Indochina war, and particularly the Battle of Dien Bien Phu was a defining period for these now cult French photographers. It was at that moment that they became popularly known as the soldats de l’image (image soldiers). Many of them worked anonymously, as their photography work belonged to the French Armed Forces and was not always credited. Among the most well known of these photographers was Daniel Camus. In Indochina, he was captured after the French lost the battle of Dien Bien Phu on 7 May 1954. Jean Péraud was another name among soldier photographers whose work distinguished him beyond the army. He too was captured at Dien Bien Phu. Péraud, who had fought during World War II as part of the French Resistance and was a prisoner of war sent in an Austrian camp had proclaimed, “Never again to be a prisoner!”. In Indochina, he escaped the convoy of prisoners and simply disappeared into the jungle, never to be seen again. The image of the French photographers in their military gear, equipped with Rolleiflexes and Leicas rather than guns, covering the First Indochina War became legend and contributed to the mythical figure of the war photographer. French photographers paved the way for the ensuing American War in Indochina, which was most definable by the photographic image. Some of the most iconic images of the 20th century have emerge from these wars, of which a selection will be in the exhibition. Alongside some of these emblematic photographs will be the less familiar images taken by North Vietnamese Army photographers depicting the wars from their vantage point. The prints are from the private collection of Singaporean collector Judd Kinne who was a United States Marine Corps infantry officer in South Vietnam, 1967 to 1969.